After winning a bruising battle for control of South Africa’s ruling party, Deputy President Cyril Ramaphosa now faces an even more daunting task: rebuilding an economy battered by years of misrule, corruption and the appointment of incompetent officials. Ramaphosa has pledged to reignite growth, rebuild investor confidence and tackle a 28 percent unemployment rate. He’ll be the African National Congress’s presidential candidate in 2019 elections but could take over running the country even sooner should President Jacob Zuma make an early exit. Jobs will become the centerpiece of government policy. Special economic zones will be established and tax reforms and other incentives introduced to encourage manufacturers to hire. The government will also repair its relationship with the mining industry and provide it with greater policy certainty in a bid to persuade them to take on more workers. A youth-employment program will be scaled up to provide 1 million paid internships to unemployed people within three years. The government will target 3 percent economic growth next year, up from about 0.7 percent this year, and 5 percent by 2023. It will take urgent measures to repair investor confidence, including improving institutional stability, restoring the credibility of the criminal-justice system and demonstrating that the state has the political will to turn the country’s finances around. 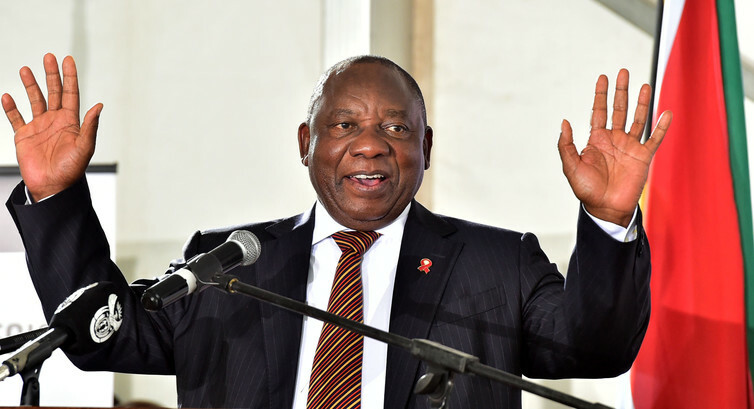 Ramaphosa will seek to ensure the government avoids an unsustainable debt trap that would place it at the mercy of its external creditors and limit its policy options. He’ll urge it to exercise fiscal discipline to ensure resources are used for development, rather than to service debt or implement populist projects. The transfer of ownership and control of the economy to black South Africans will be accelerated under Ramaphosa’s plan. The government will investigate how to make black economic empowerment more effective and sustainable, and ensure communities and workers derive greater benefit. It will also promote competition in the banking industry to broaden access to financing and consider establishing a new fund backed by investors, lenders and private companies to provide backing to small and start-up businesses. Regulations for small businesses will be reviewed to make them less onerous. Energy prices will be more effectively regulated, port tariffs will be reviewed and infrastructure will be improved. Spending on new roads, power stations, ports and other capital projects will be boosted to 1.5 trillion rand ($117 billion) over the next five years. A presidential panel will drive the implementation of large projects, reduce costs and root out corruption. The plan would get the government to work with teacher unions to improve the quality of schooling, especially in townships and rural areas. Teachers will be given additional training and support. It may be made compulsory for students to study mathematics and science until they complete school. The state would also take steps to provide free tertiary education to the poor. State companies must be properly governed, managed and operated for the benefit of the public, and suitable boards and executives with the appropriate skills and experience should be appointed immediately. The firms should consider co-investing with private companies or forming strategic partnerships with them to improve their balance sheets and ability to deliver services. The government will consider forming a company to manage all its investments in state-owned enterprises. A judicial commission of inquiry will be established to investigate allegations that public institutions have been looted and that private companies and individuals have gained undue influence over the state. Law-enforcement agencies will be strengthened and critical state institutions will be rebuilt. Officials who have facilitated or been involved in graft will be immediately be removed from their posts and face prosecution. Stolen funds will be recovered and deposited in a special fund that will be used for youth training and employment.